If you want to see the most beautiful places in a city you want to visit, first you have to explore its history. Every place you go has a different history, national heroes, and architecture. Some of the cities are build with bureaucratic style, others have evolved and have a lot of buildings in a modernistic style that can be very alluring for the tourists. But the most interesting cities are the ones that have a bit of everything. Some places have buildings from distant history and futuristic buildings of talented architects. To learn more about the creation of this city, we have the opportunity to hear the two most famous legends. The first concerns the establishment of the city of the famous character from mythology, Hercules.While the second refers to the founding of the city near the historic Carthage Hamilcar Barca, father of the famous Hannibal, that called the city by his family, who lived in the third century BC. Much later in Roman times, the colony was called Colonia Julia Augusta Faventia Paterna Barcino and was something like a small town in the area. But over the years, the colony is in a pretty good situation, favored and acquired immunity from various imperial burdens. Since this time, the remains are being displayed in various locations. Some of them we will mention later and some we will mention now. 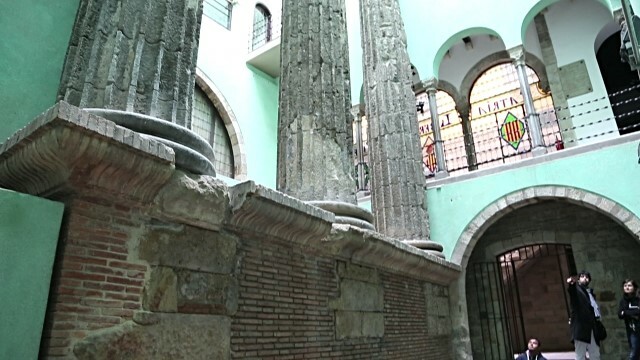 Remains of Roman times exist in Gratiot MASVA Museum, the historic center of the Barri Gòtic and so on. In the year 985, the counts took a significant place in this colony. In 1401 due to the needs of the people was opened the first bank in Barcelona, which is considered the oldest public bank in Europe.In the duration of the 18th century, much of Barcelona and an obstacle adversely affect the Napoleonic wars. However, with the onset of industrialization, living in the province significantly improved. At the time of the Spanish Civil War, Barcelona was under great scrutiny by anarchists. Grand immigration represents the outcome of this war, and the city remained the second largest in Spain. Its revival experiences in 1992 when i has been a host of Olympic Games. 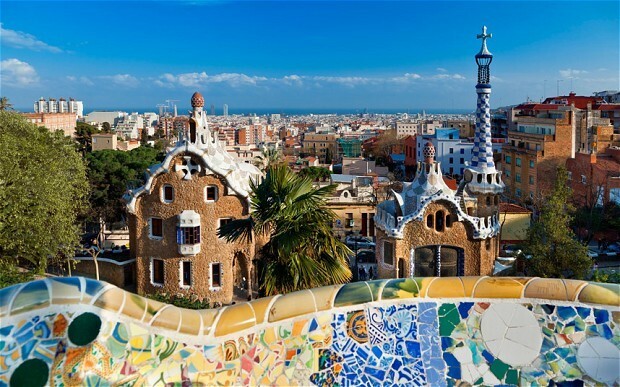 This amazing building is designed by the Catalan architect Antoni Gaudi. The construction started back in 1882, but a year later, Gaudi took over the building in its control and transforming it into a completely different building, adding elements of Gothic style combined with curvilinear Art Nouveau forms. Gaudi was quite devoted about this building, but despite that, when he died, the building was not completed yet. And after his death, construction is moving very slowly. The main reasons for this are the Spanish Civil War, and that the construction relies on private donations. Although unfinished, this church represents a UNESCO World Heritage Site. 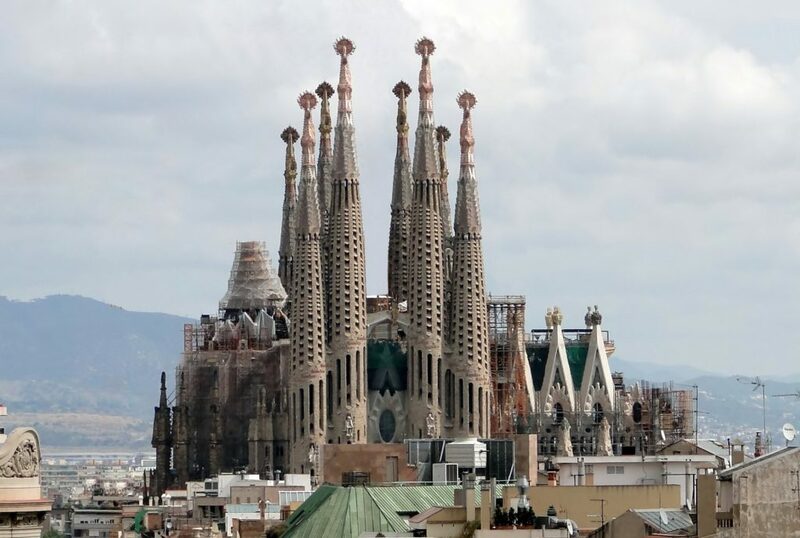 Sagrada Familia, the deadline passed in 2010, where was to be completely finished, but provided a new deadline of 2026, to mark the centenary of the death of Antoni Gaudi. This construction represents a Gothic Private Palace which dates back to 1497 and 1515. It was originally built in 25 Mercaders street, Barcelona. Тhe work was probably promoted by Joan d’Hostalric-Sabastida I LlullIn (royal counsellor and county governor). In order to preserve, in 1931 this building stone by stone was moved to the Plaça del Rei, mainly due to the construction of a new avenue Via Laietana. 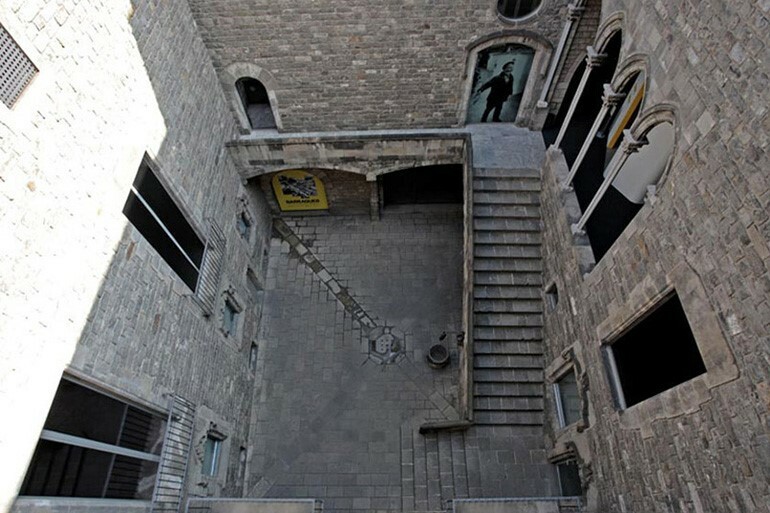 Padellas’s House hosts Barcelona City Museum since 1943. This temple was a place of worship of emperor Augustus. This building is a Roman temple which was housed in the former royal colony Barcino (Barcelona today). The temple was demolished, and its ruins are not found until the 19th century when to innovate three of his columns on the construction site of Centre Excursionista de Catalunya. The architect Antoni Celles wrote a complete description and a map of the temple in 1830. He also confirmed that the temple was dedicated to Augustus and formally describes the building. It was a temple with 11 columns on each wing plus the corner columns, The size of the building would be 35 x 17.5 metres in size and it also would be erected on the podium. This park represents a public park system and it is contained of different gardens and architectonic elements. It was built between 1900 and 1914. Later in 1926, the park was declared a public park for the first time, and in 1984, UNESCO declared the park a World Heritage Site. The plan for the building belongs to the famous Catalan architect Gaudi who in his work manages to add a kind of organic forms and his imaginative and creative freedom to carry on this work. It could say that this very interesting construction of Gaudi, which is complemented Güell is inspired by the Temple of Apollo at Delphi. This villa derives from the 16th century. 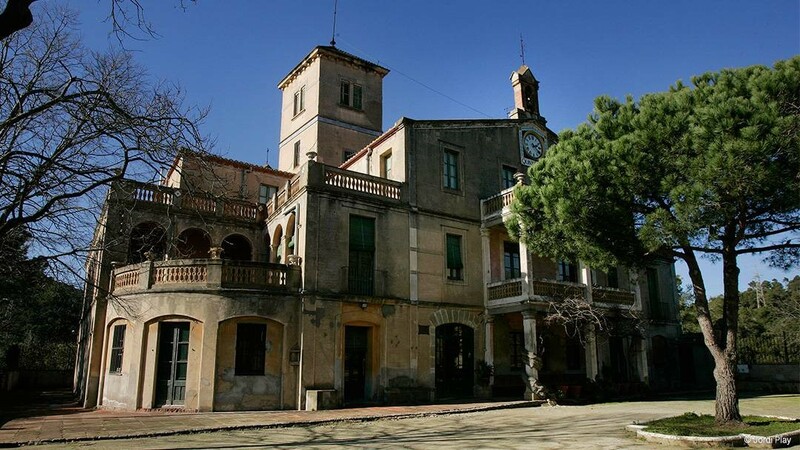 It was owned by the family Miralles, which also gave the name Joanna. Later, this villa is becoming a special school where taught real professionals – Dr. Maria Jesús Bellido, Pere Barnes I Giol etc. When a school for deaf and dumb people was closed in 1925, Villa Joanna became a specialized center for mentally deficient people. Already in 2014, the center was transformed into a house of writer that could be used for a temporary stay. 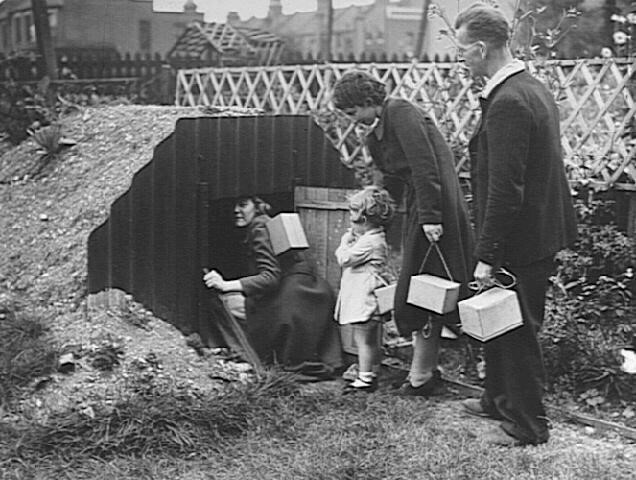 These shelters, also known as bomb shelters were built back in 1924, prior the World War II. They were shelters for the civils and also very useful as defective structures in situations as wars, hostile air strikes etc. Unlike the air – raid shelters, the cells were used by only one person. This city which dates back to the Phoenicians is located on the east coast of Spain. From the city of Barcelona is only 98 km away. This city was adopted by the Romans during the Second Punic War and then became the main military base in Hispania. 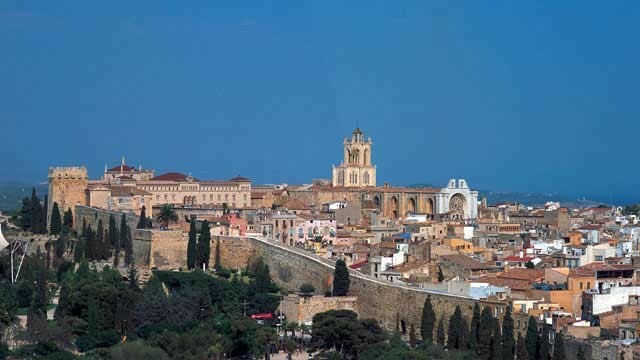 As such, Tarragona is the capital of Hispania in the next 200 years, but at that time, the city was known as Torak. Emperor Augustus stayed in the city, and from there ruled the empire, which late the city became colony, which at that time constituted the highest rank of the Roman city. The Roman ruins of Tarraco were designated a UNESCO World Heritage Site. This city was known as Cartago Nova after its conquest by the Roman general Scipio in 209 BC. Today it is located in the city of Cartagena, in the South East region of Spain. The city served as a base for the conquest of Spain by Carthagena. This city becomes known in 228 BC due to its strategic harbour. They gave the city a new name – Qart Hadasht (New City after Carthage), but over the years, this city had many other names.As a city, Cartagena has a large number of ruins, among which the most famous is the theater which was constructed in the period from 5th to 1st year. In the 3rd century AD, on the site of the theater was built a market. But even though the theater was discovered during construction work in 1988 and by the end of 2003 was open to the public. Five years later, the theatre was added to the museum. This building located in northwest Spain is a symbol of the Cathedral,that was built like a temple for one of the apostles of Jesus. 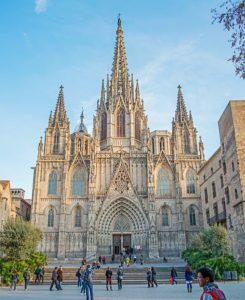 This cathedral represents a place for all Catholic believers, that kind of pilgrimage which is the third most popular among Christians / Catholics. In connection with this cathedral, there is a legend that tells about the killing of one of Jesus’ apostles. After previously forgotten, the tomb was found in 814 and in its place was built a chapel by Alfonso II. A few years later in the same place was built the first church. However, in 997 the church was destroyed, and the gates and bells were taken to Aljama Mosque at Cordoba. This formed the main cathedral church in ob chaste in 1281, although primarily destined to be a parish church on the site of the mosque Aljama. In 1510, the church received the status of a cathedral by Pope Julius II. 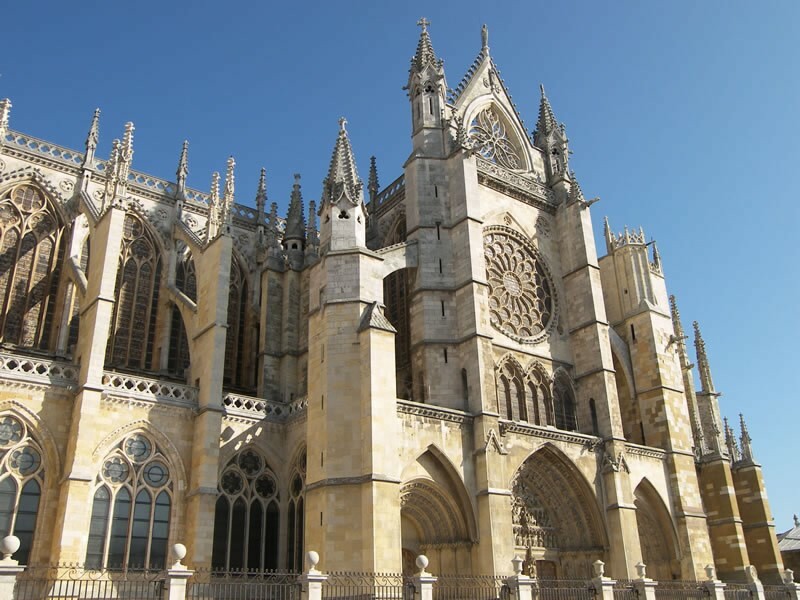 This cathedral has a Latin cross plan and was built in Catalan – Gothic style. It also consists of a number of chapels which were added to that end of the 15th century and early 16th century.